Coorg is spread-out and access to many hilly parts are time consuming as well.So, you need 4-5 days minimum to cover this touristy district of Karnataka that hugs the beautiful Western Ghats. To get there from Kochi area, the shortest route (around 350KM) is via NH-17 to Chovva byepasse (before Mahi) and onto Thalassery-Coorg highway. We went via Wayanad (around 390KM) mainly because parts of NH-17 can be a drag. The Wayanad route is very scenic and passes through Thrissur, Ramanattukara/Thondattadu Byepasse, Thamarassery, Pookode Lake, Vythiri, Kalpetta, Kattikulam, Tholpetty, Gonikoppal, Virajpet, and Madikeri - if you start very early, the only trouble-spot is the Calicut byepasse area near Ramanattukara. We started around 5AM anad reached the Ramanattukara byepasse area by around 8:30AM. Annapoorna (to the left on the byepasse road) is a good option for breakfast if you want a quick turnaround - we were in-and-out in 25 minutes and reached Kattikulam by noon - Mananthavady byepasse saves time but there is no clear direction marker- asking locals is your best bet. 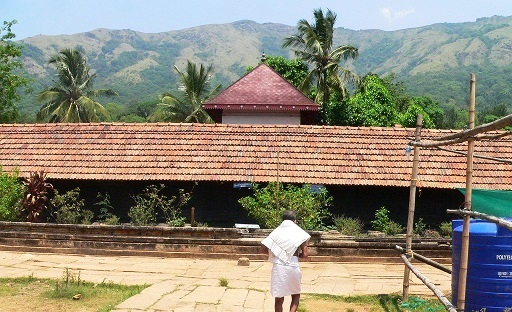 Thirunelly Maha Vishnu Temple is a ~15KM detour from Kattikulam. It is a scenic drive through the forest. Non-hindus are not allowed inside but it is still worth a visit. There are around 30 steps at the entry and as you climb the last step you see the temple with the hills in the background. 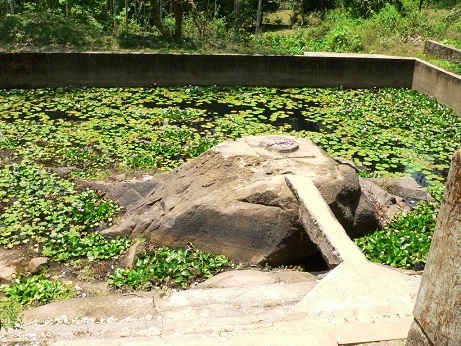 A short walk gets one to Panchatheertham, the temple pond - so named as it has the symbolic representation of the merger of the five symbols (Sanku, Chakram, Gatha, Padmam, and Sreepadam). Hundred steps or so down gets you to the pathway to the small stream that runs behind the temple - it is one of the holiest places in India for hindus - ashes of their dead-ones are brought here and scattered in the stream to destroy sins (Papanasini at Gundikasivakshethram). The whole area has avoided the grips of commercialization although there are a few establishments that sell local specialties such as the Mulayari Payasam (bamboo-rice-pudding). 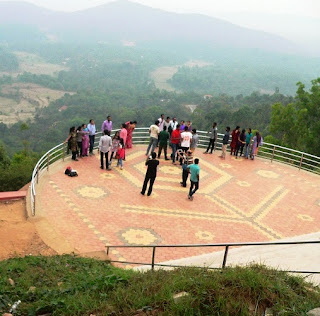 We had reservations at KSTDC Mayura Valley View in Madikeri, which is right in town on top of the hill. Including the Thirunelli Temple detour, we logged ~415KM and reached by 3PM. Location of the hotel is ~1KM after Raja’s Seat on the same road past the radio station (Akashavani) - keep left to stay on the same road as you go up. It is a very good option, unless you wish to splurge on high-end resorts. Mayura Valley View is blessed with a nice location (beautiful valley view) despite being in the middle of everything. There are 36 rooms (6AC, 17 non-AC deluxe, and 13 non-AC standard). We went with a deluxe room as those have a mosquito mesh for the windows - very handy as otherwise the rooms can get stuffy as you cannot keep it open without mosquitos and other insects getting in. Most rooms have a view of the valley and the best views are from the first floor of the main building. The restaurant has a bar and so not ideal for families. The food is tasty but can be a long wait - they serve some Kodavu (Coorg Cuisine) dishes as well. Unlike most other places, the complimentary breakfast in the morning has just two options and is complimentary only for two people per room. Overall, there are much better food options in town, although the convenience factor cannot be taken away. Raja’s Seat (Open 5:30AM to 8PM) is a very good place to spend evenings while in Madikeri - early morning is a also a good time as it is less crowded then. Other than the stunning views, the main attractions are the Toy Train and the Musical Fountain. Pricing is very nominal for the entry tickets to the park as well as the rides. The Toy Train ride can be a little bit of a wait as they start only after the seats are filled - the ride itself is only about 5 minutes and it passes through “tunnels” and a “forest”. The Musical Fountain functions only after 7PM during weekdays and a little earlier on weekends. 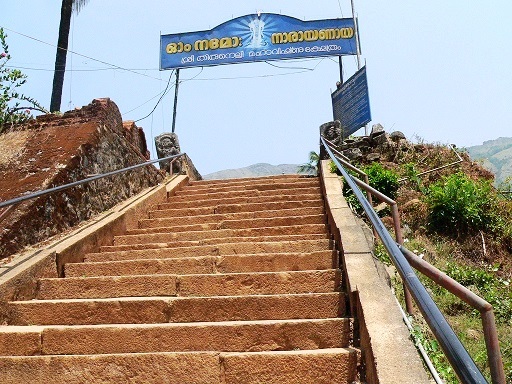 Omkareshawara Temple is also right in town, less than 2KM from hotel - take a Left at the main road towards the downtown area and ask for the alleyway to the right to reach the temple. 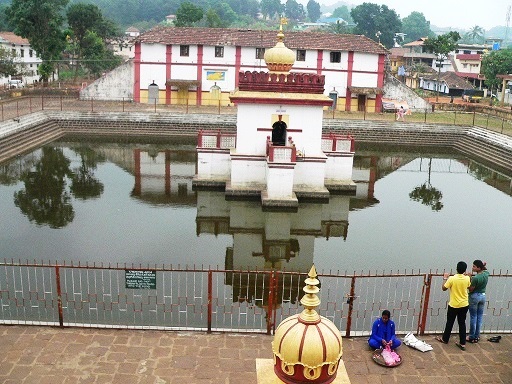 It is more a religious spot than a tourist attraction. Also, they close at noon and reopen at 5PM. The temple was built in the early 1800s in Gothic and Islamic styles (dome on top, four minarets around, with a Linga installed at the entrance) by the king Lingarajendra II - the story is that the king killed an innocent Brahmin whose ghost troubled him and to make amends built the temple at the spot of the killing and installed a Shivalinga brought from Kashi. There is a fairly large pond in front with a pathway to the mantapam in the middle. Overall, as temples go, this one is really good looking! Note: this temple is not to be confused with the famous Shiva Temple (one of twelve Jyotirlinga shrines) with the same name. That one is located in the state of in Madhya Pradesh, 20KM from Mortakka in Khandwa district on an island in the holy river Narmada .